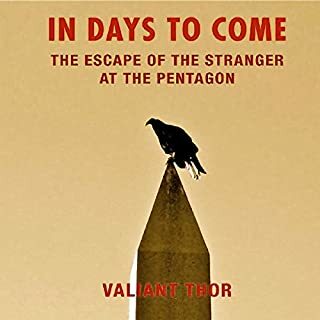 The noted Venusian thinker Valiant Thor (also known as the "Stranger at the Pentagon") has collected the letters he wrote during his imprisonment in the Pentagon between the years 1957 to 1960. Unbeknownst to the corrupt military officials who had interned him in the bowels of the Pentagon, Thor snuck out several times and spoke with various contactees around the world, urging them to fight against the widespread atmospheric testing of atomic bombs. 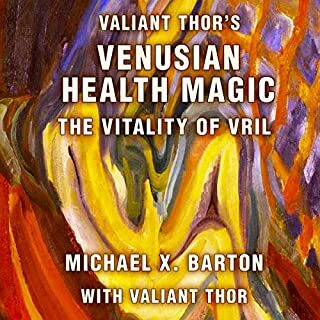 Valiant Thor's Venusian Health Magic contains a wealth of vital instruction and inspiration for all. Intelligence and love direct the universe and are always "at your service" to lift you upward into a healthier, happier, and higher "Venusian" vibration. A truly important message and warning. In this classic of the UFO literature pantheon, Helen and Betty Mitchell are approached by humanoid space aliens at a coffee shop in St. Louis, Missouri, in the late 1950s. Taught how to communicate with the space people from Mars and Venus, they receive messages from their new friends. Finally, they are taken on a spaceship voyage. 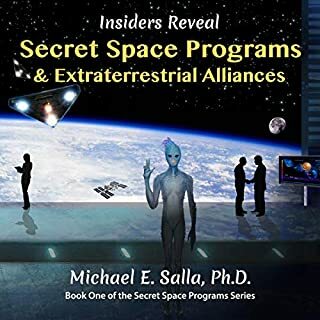 This is the account of their experiences and the messages they were given by the aliens: Abolish nuclear weapons, create educational television programming, and become vegetarians, or possibly face extinction. Dr. Frank Stranges was born and educated in Brooklyn, New York. He received his bachelor's of divinity as well as PhDs in psychology and philosophy from Faith Theological Seminary in Ft. Lauderdale, Florida. Dr. Stranges was a member of the Mayor's Advisory Council of Los Angeles and a member of the American Association for Social Psychology. He also held a PhD from the National Institute of Criminology, in Washington, DC, and was an accredited diplomat of the American Academy of Professional Arts. 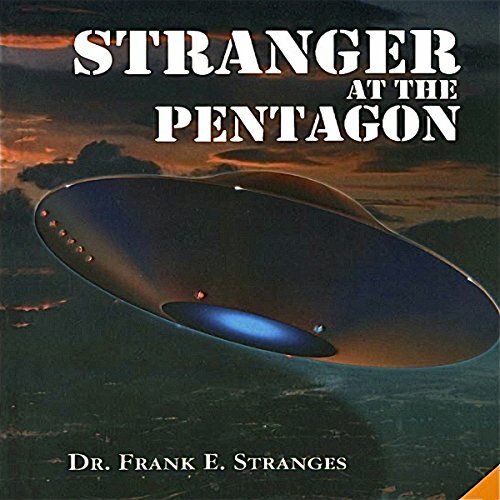 Dr. Stranges authored several books on scientific and religious subjects, including his classic The Stranger at the Pentagon, which tells the unusual story of a spaceman named Valiant Thor. 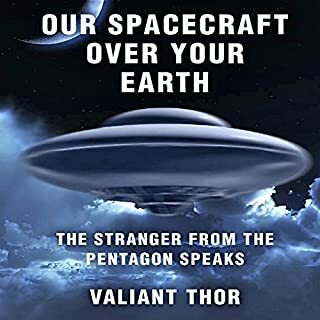 Because Thor was a real person who appeared in a public on a few occasions (including at the UN headquarters in New York City), the legend of the Stranger at the Pentagon has grown, becoming a real head-scratcher for 21st-century UFO researchers. Today, it is still one of the hottest topics in ufology, having spawned various other books, documentaries, and even feature Hollywood films. What exactly happened to Valiant Thor? Did he get back on his spaceship and return to his home planet, or did he help the US government set up alien-human hybrid experimentation in remote underground bases? Or was he imprisoned - thrown in the clink - by those in the government who have been fighting UFO disclosure all these years? Since no one knows how long an alien can live, could Valiant Thor still be alive today, in 2018, somewhere in - or under - our nation's Capitol? 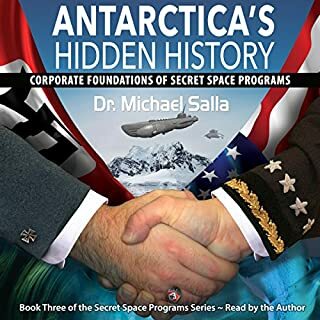 This audiobook features an introduction by Dr. Harley Byrd, nephew of Adm. Richard E. Byrd, and an epilogue by Valiant Thor himself, as well as several interesting photos, covering years of UFO history. A must-have for the serious paranormal researcher. There is no other word that could possibly describe this book, other than garbage. Pure garbage. It is laughably ridiculous, so nauseatingly stupid, that I resent paying for it. This is not regarding the concept of extra terrestrial life. There may be aliens, who knows. I bought this book to listen to what I assumed it would be an interesting story. However the very idea that an Alien from the planet Venus, named Thor, would fly to earth solely to tell us about the holy Savior Jesus Christ is absurd. And that is precisely what this book is about. Aliens apparently don’t care about nuclear war or anything important, they want to teach us to worship Jesus. No, I’m not making it up. This book is so stupid that it does not even deserve one star. It’s horrible. Boring beyond belief. Stupid beyond words. if answers are what you want look no further great place to start if you've hear the name val thor. Lack luster, sounds like a sermon... very little information on Valiant himself. Came off as fictional. I don’t know if it was the way the narrator emphasized and dramatized the story that made it not credible for me. The whole Christian message and the claims he made regarding the alien being a Christian was too far fetched. I felt like he wrote the book off his previous knowledge from other people’s experiences and just placed himself in the center of it. There seemed to be a lot of projecting also. If you want to read something authentic the book by Sherry Wilde “Forgotten Promise” was just amazing. On audible she is the narrator and does a fantastic job. There was no point in her book that I was skeptical. After reading her book you learn a lot and the bar is set high. Books like Stranger in the pentagon seem untrue and sort of silly. Very informative and enlighting. I recommend everyone to read this, and learn to love one another and serve. Disappointing from beginning to end. 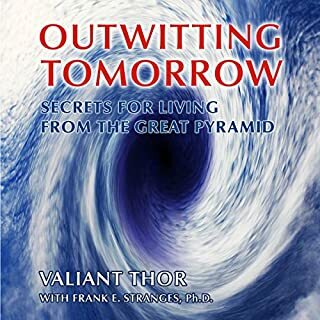 I was hoping to learn about Valiant Thor but instead was treated to a combination of made up rubbish mixed with religious education delivered by the worlds dullest voice.Total rubbish, don't bother.